We have different sets of clients whose taste and needs are way ahead than common customers. We are dedicated towards providing services as well as meet the customer demands. We are one of the best service providers in the field of Environmental Pollution Control Technology and offer excellent services such as Supply of Water and Wastewater Plants, Environmental Clearance and Legal Complies, Environmental Impact Assessment and Environmental Audit, Laboratory Analytical services and Air Pollution and Environmental Monitoring etc. Our aim is to satisfy our customers through our range of services. Our professional, methodical, cordial and creative approach towards our services has gained us global clients from all walks of life. We are conceited of the fact that, our wide range of services has brought in dramastic increase in the business for many of our clients. 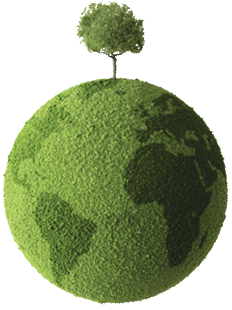 Incorporated in the year 2008, Envirotech Systems is a Solution Partner for your Environmental Problems. We are Consulting Organization in the field of Environmental Pollution, Analysis and Control Technologies to provide you the economically viable and appropriate pollution control tools with pre and post o perational support. Our services are designed so as to meet all specified requirements stated by our clients. Our services go through different scales of quality checks so as to ensure their conformity to international standards. We look at each enquiry as different and arrive at customized solutions. We undertake operations and process maintenance of ETP/STP. We are associated with design and supply of ETP/STP/Bio gas plants/WTP/DM/RO plants. We believe in continuous improvement and value added services to the customers. All our wastewater treatment systems are easy to install and has trouble free operations and maintenance. We offers helping hand for number of national & international companies to achieve their goals of Environment Management & Natural Resource Conservation. Wastewater management is the field of handling wastewater, to make it suitable to either be recycled into a water system or to be disposed of in an environmentally-conscious manner. Operation and Process Maintenance of ETP/STP on round the clock for 24 x 365 days. Performance study and feasibility study for ETP/STP/CETP. Design, erection and Commissioning of Water Treatment Plants, DM Plants, RO Plants, Softeners. Performance study for Water treatment Plants. Providing you the best range of Water Treatment Plants such as Reverse Osmosis Plants, Water Softener Plants and D. M. Plants with effective & timely delivery. Environmental impact assessment is the mandatory assessment of the compliance of planned activities. Environmental audits are being used as a tool and aid to test the effectiveness of environmental efforts at local level. Design and erection and commissioning of air pollution control equipments. Ambient Air Quality Monitoring Survey as per NAAQS/EPA/IS standards. Environmental monitoring and Lab Testing is required for any industry for the investigation and resolution of environmental issues and regulatory testing. Sampling & Analysis of Waters, Drinking Waters, Packaged Drinking Waters & Process Waters as per IS/USEPA methods. Sampling & Analysis of Wastewater, Industrial effluents, Ground water & Storm water as per IS/USEPA methods. Hazards & Risks identification, Risk analysis & Job safety analysis. Safety Audits as per is14489. Form feature will be activated soon!